In what promises to be one of the most exciting races of the summer, the top-notch pair of Divisidero and Bolo will square off in a battle for supremacy in the $1,250,000 Belmont Derby Invitational Stakes (gr. I), a ten-furlong turf race at Belmont Park that is expected to provide a clear-cut leader among this year’s talented crop of 3yo turf horses. Other highlights on the Belmont card include the $1,000,000 Belmont Oaks Invitational Stakes (gr. I) and the $500,000 Suburban Stakes (gr. II), both of which will be broadcast live on NBC. It’s going to be a fantastic day of racing, so without further ado, let’s start handicapping! Regular readers of this blog probably know that I have been a fan of Divisidero since he broke his maiden, and I see no reason to jump off the bandwagon now. His last two races have been nothing short of stellar, particularly his last-out victory in the nine-furlong Pennine Ridge Stakes at Belmont. In that race, Divisidero broke awkwardly and hit the starting gate, causing his jockey to lose a stirrup and Divisidero to drop too far behind a slow pace. This necessitated an early bid to get into contention, but this early move left Divisidero racing very wide throughout the race. Then the pace accelerated sharply, and given the obstacles Divisidero had to overcome, it wouldn’t have been a surprise if he had failed to gain any ground in the homestretch. Yet the son of Kitten’s Joy seemed to relish the challenge, and flew through his final three furlongs in about :34 2/5 to get up and win by a neck with a last-minute surge. Today, he lands in post position three, which should help him save more ground than in the Pennine Ridge, and being by Kitten’s Joy out of a Lemon Drop Kid mare, the ten-furlong distance of the Belmont Derby should only help his chances. In my opinion, this is as good a place as any to pick Divisidero on top, as I think this will be the last time for a while that he will offer good odds. Another colt that warrants a lot of respect is the California shipper Bolo, who is 3-for-4 on turf. As a two-year-old, he scored a very easy and very impressive 4 ½-length victory in the one-mile Eddie Logan Stakes at Santa Anita, and after a respectable but ultimately unsuccessful foray on the Kentucky Derby trail, he returned to the turf on May 29th at Santa Anita and won a nine-furlong allowance race by 2 ¾ lengths. His excellent tactical speed should be an advantage in what appears to be a relatively paceless race, but my gut feeling is that Bolo is more of a miler than a ten-furlong horse, and thus far, he hasn’t shown the same spectacular turn-of-foot as Divisidero. Therefore, in a quest to find some value, I’ll look for a longshot to beat Bolo in the exacta and/or trifecta. A logical choice is Force the Pass, who unleashed an impressive rally while in tight quarters to win the Penn Mile Stakes (gr. III) by a head. However, he is taking a sizeable step up in distance (he’s never run beyond a mile), and it’s hard to say how that will affect his stretch kick. A better choice might be Postulation, an Irish shipper owned by Juddmonte Farms and trained by Dermot Weld. On June 7th, Postulation won the ten-furlong Silver Stakes at the Curragh by a neck over the talented older horse Parish Hall. Now, Parish Hall might not be a superhorse, but he is a very capable group III-level runner that has run some decent races in group I company, and for Postulation to beat him—especially at Parish Hall’s ideal distance of ten furlongs—is an impressive feat. The fact that regular rider Pat Smullen has accompanied the colt to Belmont is also a positive, and I think Postulation looms as the most likely candidate to upset Divisidero. Takeover Target and Closing Bell are two other colts to keep an eye on. The former finished second behind Divisidero in the Pennine Ridge after staying close to the early pace, and while he would need some luck to turn the tables of Divisidero, he must be respected as a candidate for the exotics, especially after drawing the rail. Closing Bell will be a longshot, but broke his maiden with a nice late run on dirt last time out, and in his lone start on turf—in his debut at Gulfstream Park—he unleashed an eye-catching late run to finish fourth by four lengths after trailing the field by 11 lengths passing the eighth pole. Trained by Bill Mott for WinStar Farm, this son of Tapit isn’t really bred to be a turf horse, but might be capable of rallying to crash the superfecta at a giant price. Belmont Oaks Invitational Stakes (gr. I): The fillies’ companion race to the Belmont Derby has drawn a full field of 14, including the unbeaten Breeders’ Cup Juvenile Turf (gr. I) winner Lady Eli. Like Divisidero, she possesses a terrific turn-of-foot and shouldn’t lose with a clean trip, but the sheer size of the field—coupled with the possibility of a slow pace—could make it worth trying to beat her at a short price. I’ll take a shot with Itsonlyactingdad, a Todd Pletcher-trained daughter of Giant’s Causeway that won two straight races on turf before finishing a close fourth behind Lady Eli in the nine-furlong Wonder Again Stakes. In that race, both Lady Eli and Itsonlyactingdad were compromised by a very slow pace, and while Lady Eli received most of the attention while rallying successfully to win, Itsonlyactingdad also put in a sharp late run and—with some luck—might be capable of turning the tables on Lady Eli this Saturday. Suburban Handicap (gr. II): 2014 Belmont Stakes (gr. I) winner Tonalist is bound to be a heavy favorite in this ten-furlong race, as the conditions of the race appear made-to-order for the son of Tapit. But Todd Pletcher has entered the talented duo of Coach Inge and Mylute, who will receive five and eight pounds from the expected favorite, and if Tonalist proves vulnerable in his first start of the season beyond a mile, an upset could be in the offing. In particular, Coach Inge looks like a strong candidate for victory after winning a nine-furlong Aqueduct allowance race by 12 ½ lengths and the twelve-furlong Brooklyn Invitational (gr. II) by a neck with a sharp final quarter-mile in :23.96. In all likelihood, Tonalist will win this race, but if he starts as a heavy favorite, it might be worth trying to beat him with Coach Inge. Now it’s your turn! 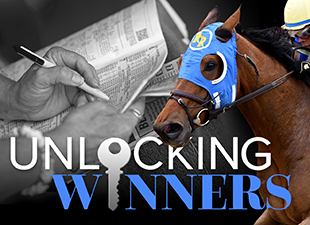 Who do you like in this week’s graded stakes races? To help keep track of all the Breeders' Cup prep races, here is the link to Bloodhorse.com's Breeders' Cup news page. Also, here is the link to the currrent standings, entries, rules, and schedule for our "Road to the Breeders' Cup Classic" Handicapping Challenge.